Bjarke Ingel’s meteoric rise is perhaps the fastest of any architect since Eero Saarinen. His firm was just selected to design the renovation and expansion of the Kimball Art Center in Park City, Utah. Bjarke bested Will Bruder, Williams + Tsien, Brooks + Scarpa, and Sparano + Mooney. 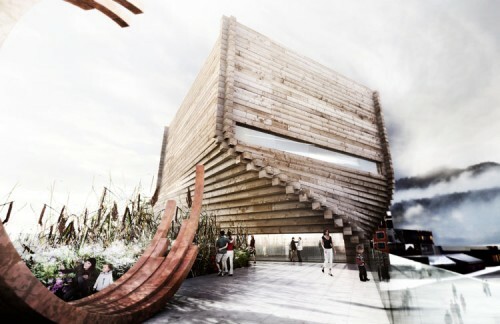 BIG’s design calls for a torqued addition made of stacked railroad timbers. “BIG won the competition by proposing an iconic building that honors the spirit of Park City’s past and looks ahead into the 21st century,” said juror Maurice Cox, in a statement. The phased project will begin in 2013 and be completed in 2015.